Put the vanilla pods into a blender or a coffee grinder. Blend until it turns into a very fine powder. Pull out the finest sieve that you got. Put the vanilla dust through it. Blend approx. one-half of the sugar. Mix it all together in a suitable container. 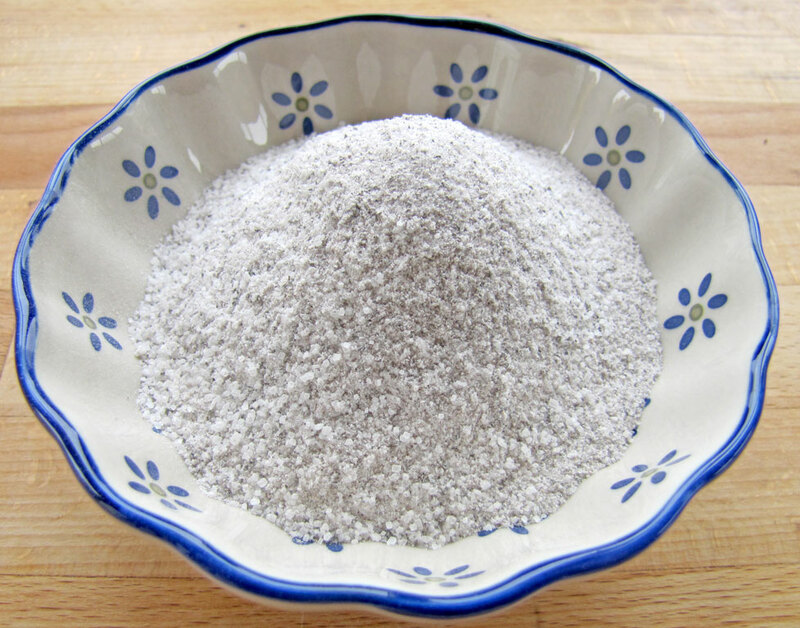 For example, an old vanilla sugar container. As long as it can keep the sugar dry. 1½ tbsp is about the same as the seeds from 1 vanilla pod. Most recipes recommend that you take the seeds out of the vanilla pods. When I do that I put the pods into a glass, where I let them stand and dry out completely. Depending on the weather and temperature they dry out in 1-3 weeks. When they are dry enough that they break when you bend them, they are ready. It is important to use a very fine sieve for this. The blended vanilla pieces will swell a bit when they get wet. So this sugar is not really suitable where the vanilla is very visible. Like vanilla ice, creme brulee or pane cotta. But in cakes, pastry cream etc. it works very well. It does taste the same as the vanilla seed though. 1 dried vanilla pod has about the same amount of vanilla taste as the seeds from that pod. So if you use 5 dried pods and 3½ oz (100 grams) of sugar then 2/3 oz (20 grams) of vanilla sugar will have the same strength as the seeds of 1 vanilla pod.